For the first time in its modern history, Glenturret distillery, home to The Famous Grouse, has released a core range of single malt whiskies. 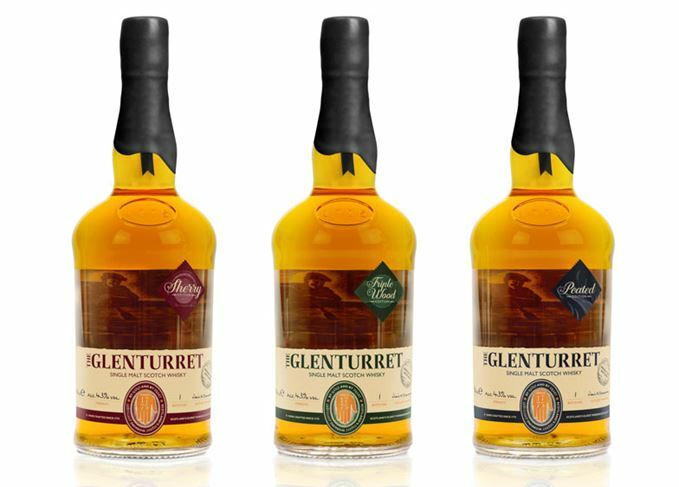 Glenturret's core line-up: Sherry, Triple Wood and Peated Editions. Three non-age-statement signature expressions are now available to buy from the small Crieff distillery and independent retailers around the world: Glenturret Sherry, Triple Wood and Peated. The Sherry Edition has been matured in Spanish and American oak ex-Sherry casks, while the Triple Wood has been aged in a mixture of American ex-Sherry, Spanish ex-Sherry and American ex-Bourbon casks. Finally, the Peated Edition has been produced using a run of peated spirit from Glenturret known as Ruadh Mhor (Big Red), which is predominantly blended into The Famous Grouse Smoky Black – formerly known as Black Grouse. Glenturret is a small, farmhouse-style distillery that continues to use traditional methods of whisky production to this day, including hand-mashing, and was transformed by owner Edrington into The Famous Grouse Experience in 2002. The distillery lays claim to being the oldest in Scotland, and while the new single malt releases are introduced in celebration of the site’s 240th anniversary, its assertion is contested by many other long-established distilleries. In recent months the only single malt bottlings released by the distillery include a 1986 Commonwealth Games Edition in 2014, and the cask-strength Brock Malloy in May 2015. All three expressions in the new Glenturret core range are available for £45 per 700ml bottle. Actor Gerard Butler is the latest famous face to be part of Glenturret’s ‘Bottle Your Own’ series. Cutty Sark blender Kirsteen Campbell replaces Gordon Motion as master blender of The Famous Grouse.